Ayo Akinwolere is an incredibly versatile BAFTA nominated and RTS award winning broadcaster. 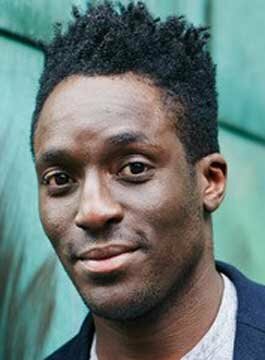 With an array of credits to his name, Ayo has worked across several genres and shows, starting his presenting career on Blue Peter. With a natural aptitude and passion for sport, Ayo has gone on to present flagship sports events and broadcasts at the BBC, including the London mini-marathon and commentary duties on the South African World Cup for CBBC. His work within this genre has seen him interview sporting greats including Pele, Usain Bolt, Lewis Hamilton and Jessica Ennis. Passionate about current affairs, Ayo is a regular contributor to BBC Radio 4’s Our Home Correspondent. Ayo also fronts BBC current affairs series, Inside Out, for the West Midlands presenting and investigating on the stories affecting the wider community and viewers at home. As a part of this, he was awarded the RTS Midlands Award for Best Current Affairs Feature for his hard-hitting documentary on extremism. With an infectious sense of fun and adventure, Ayo has also appeared on Celebrity MasterChef (BBC One), The Great Comic Relief Bake Off (BBC Two), The Great British Banquet (BBC Two) and Fort Boyard: Ultimate Challenge (ITV/CITV). A popular and confident corporate host, Ayo Akinwolere has collaborated with an array of brands and hosted multiple corporate events. Some of these include LOCOG, Huawei, The FA, Shell, TBA, British Airways, Havas Paris, Sodexo, Natixis, GLL, Royal Shakespeare Company and Harper Collins. When he’s not filming, Ayo can be found travelling the globe writing and blogging for BBC Sport, The Daily Telegraph and the Huffington Post.